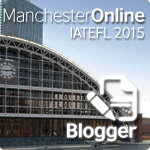 IATEFL Harrogate was over a month ago now, and I’m still digesting what I learnt there. In this post I’ll attempt to summarise my conference experience and the talks I attended based on tweets and blogposts from the week. David gave a lot of evidence about the relationship between English learning and economic development. The quotes above were the most interesting, because it questions the standards we set for school leavers, and the reasons why we require potential employees to be able to speak English. What is the point of training learners to a standard that isn’t good enough to get them a job? And/or what is the point of forcing students to learn more of the language than they’ll ever need to be employed? And is English just another piece of paper to show you’re qualified, or is it actually a necessary skill? You can watch a recording of the plenary. Ann and Paul describe changes they’d like to make to the TeachingEnglish British Council website. Damian explores some of the teaching myths we tell ourselves. Danny describes CELTA lessons where trainees were encouraged to deal with emergent language. Josh gives excellent advice about how to be the best possible Director of Studies. It was my birthday so I decided to have a slow start! 🙂 Ela Wassell started my day off beautifully with a card which she’d got signed by lots of people there. Thanks Ela! I Speak Meme – Nina Jerončič How to use memes in the classroom, in the talk with the best title of the conference. She might be writing a guest post for me summarising the talk, although since I asked her a long time ago and forgot to remind her, I’m hoping that she’s still willing to do it! How does the silent way work in the classroom – Roslyn Young ‘The Silent Way’ explained in such a way that I finally understood it! Adam Simpson and I were interviewed by Ann Foreman and Paul Braddock from British Council Teaching English. We spoke about blogging and offered advice to those of you who(‘d like to) blog. Mark Hancock’s talk ‘Pronouncing meaning – rhythm and stress games‘ was full by the time I arrived, but he’s shared the materials on his site. 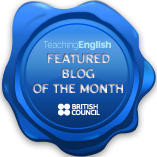 Practical pronunciation ideas for teaching in an ELF context – Laura Patsko and Katy Simpson Lots of things you can do to help your students deal with English as a Lingua Franca, in both multilingual and monolingual classrooms. #iatefl Check out Richard Cauldwell’s site – http://t.co/w0usbBDcxs. Full of inspiring ideas that are both practical yet deeply principled. I finished the day with Lizzie Pinard’s talk ‘Bridging the gap between materials and the English-speaking environment‘ in which she described the process of putting together materials to help students take advantage of studying in an English-speaking environment. She later won a well-deserved ELTon for the same materials. 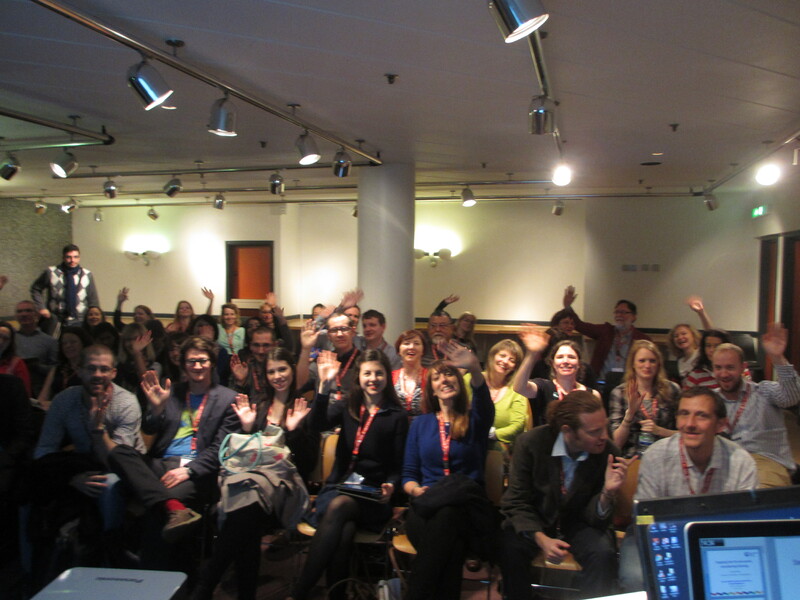 # of panic attacks witnessed @ #IATEFL thus far bc a presentation’s fancy audio/video weren’t working: too many. Keep it simple, people. I had another slow start on Friday and missed a lot of sessions. The first one I went to was Emina Tuzovic’s ‘Spilling or Spelling? Why do Arabic EFL learners stand out?‘ Emina shared some very practical tips and activities for helping Arabic learners with their spelling, which was something I’d been looking for since I realised they had a particular problem not shared by any other L1 background. Emina was kind enough to write a guest post on my blog sharing ideas from her talk. Cecilia Lemos taught us about ‘Making lesson observation a teacher’s best friend, not the enemy’, with a very interesting idea about a menu of observation tasks, which I’m looking forward to reading more about when she finds time to put it on her blog 🙂 In the meantime, you can read Lizzie Pinard’s summary of the session. I used to work with Amy Brown at IH Newcastle, so it was a no-brainer that I would attend her talk ‘Reading for pleasure: a path to learner autonomy?’, especially because it is about extending the Personal Study Programme into a new area – PSP was my IATEFL topic in 2013. Amy discussed a project she implemented in partnership with The Reader Organisation, where trained readers came to the school to run guided reading groups. Again, Lizzie blogged about Amy’s talk. My last ‘proper’ talk of the day was Pete Sharma introducing the ‘Vocabulary Organizer : a new way to organize lexis’ [affiliate link to Amazon – I’ll make a few pennies if you buy via this link]. This was my only publisher talk of the conference, and I got a free copy of the organizer. 🙂 I really like the fact that there are two separate sections in it for ‘vocabulary to recognise’ and ‘vocabulary to use’. It’s specifically designed for EAP (English for Academic Purposes) students, but I think it might be useful for other students too. You can see Pete’s slides on slideshare. The next talk was a reunion of sorts, since it was given by Teti Dragas, one of my CELTA tutors, who I hadn’t seen since I asked for advice a few weeks after the course finished. 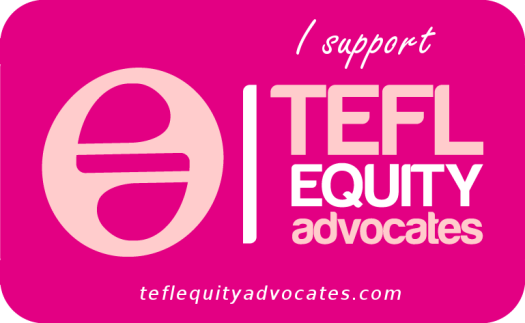 Her talk ‘Exploring culture in teacher education: reflections on a corpus-based study’ was based on a module done the MA TESOL at Durham University. In it, she compared Chinese attitudes to teaching and training to those in the UK, and the implications of this on the MA TESOL programme. She recommended moving away from assessed teaching practice towards a more general culture of reflective practice. #iatefl @AnthonyGaughan analyses #PLN phenomenon in his talk. What about people in our local practice? You can see the full text of Anthony’s talk ‘The place is here and the time is now’ on his blog. 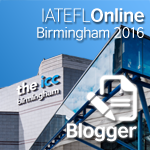 IATEFL runs a scheme where anyone can register as a blogger, regardless of whether they are at the conference or not. This creates a great picture of the conference as a whole, and promotes a lot of discussion. Here is the full list of Harrogate Online registered bloggers. It’s definitely worth taking a look – there are a lot of posts about the conference, and it’s a good place to start looking for other blogs you might want to read in general. TeachingEnglish highlighted Lizzie Pinard’s coverage of the conference as being particularly good, and I’d second that! 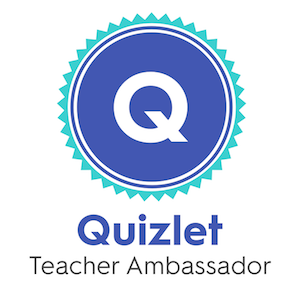 You might also enjoy Nicola Prentis talking about a glut of ELT celebrity encounters. As I write this [back in May!] I’m over a month behind on blog reading, and still have at least three talks I missed during the conference which I’d like to watch the videos of, with more probably being added to this list as I catch up with my reading. I still have one or two posts in my drafts which I’ll add to this summary as I publish them. I’ve also asked a few speakers to write guest posts based on their talks, which I’ll add too, so there’ll definitely be more to come from this year’s conference. Watch this space! Thanks for this Sandy. 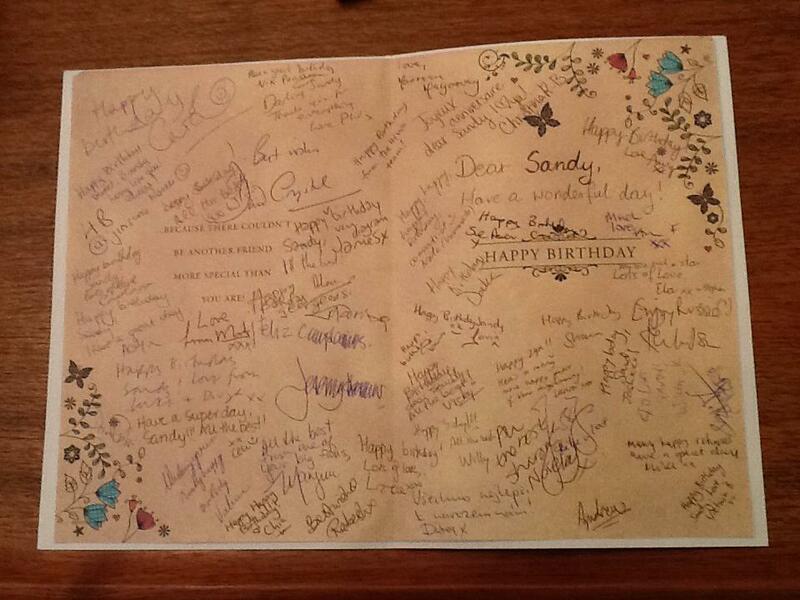 So much of the conference just flies by but I definitely remember the plenaries as well as the pleasure of signing your birthday card. Wow, it sounds like an absolute whirlwind of a conference! What a brilliant summary, thanks. I have managed to open about 8 other windows from this one post, so I shall be a bit naughty and peruse those in what remains of my lunch break. The Publisher of my old list, English Language and Linguistics, actually attended the conference for Routledge, and she always meets loads of lovely ELT authors there every year. 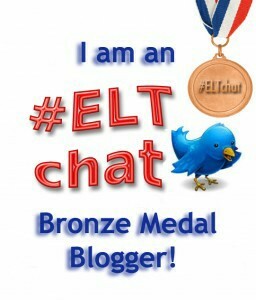 The more I read about ELT, the more I am fascinated, so perhaps I’ll try and attend next year’s! I think everybody should go at least once – I’d definitely recommend it 🙂 Hope to meet you there at some point!